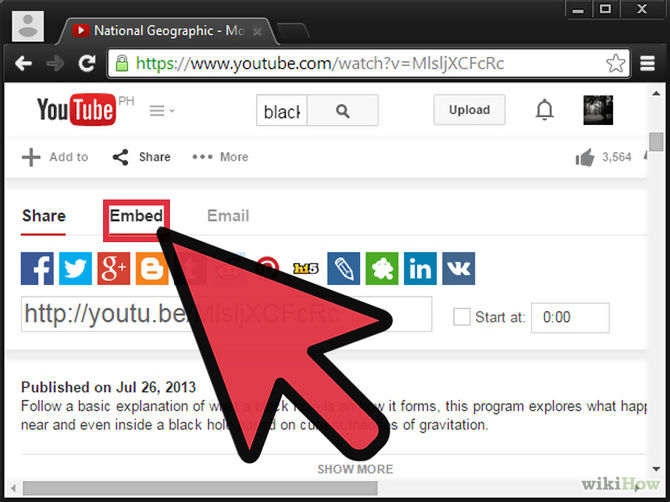 Embedding a video onto a web page becomes as easy as cutting and pasting. 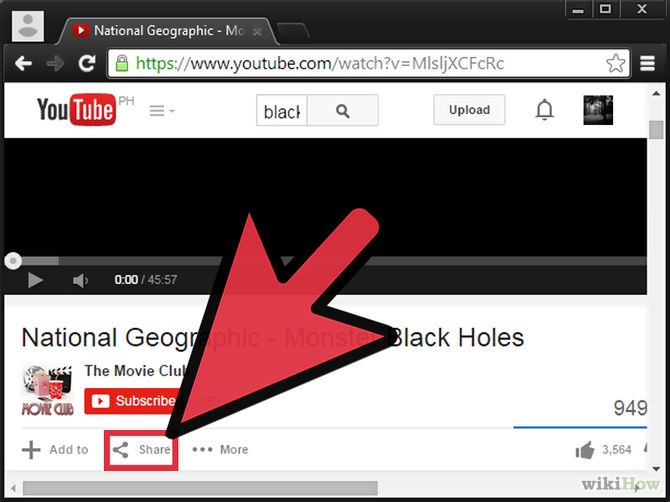 When you visit a site that hosts videos, such as YouTube, you are presented with a video box on the page. You can watch the video directly on the page, or the Flash player allows you to view the video full screen, just by clicking a button on the player. 1 . 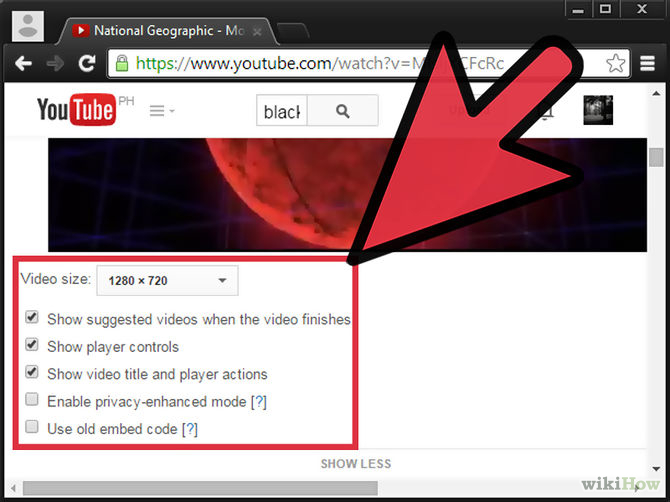 Go to the youtube video you want to embed. 2. Click 'share' under the video. The check boxes are optional, but the player size should be edited. 5. Copy the code inside the big box, with the iframe tag. You will also notice another box with an address. 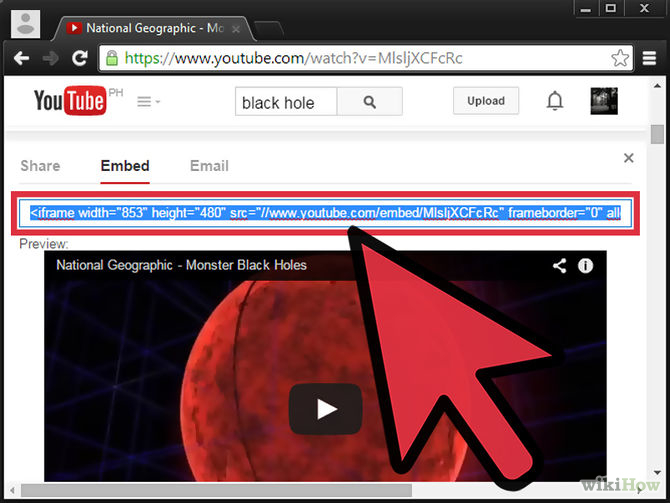 This is a shortened version of the address that takes you to the video on youtube. 6. 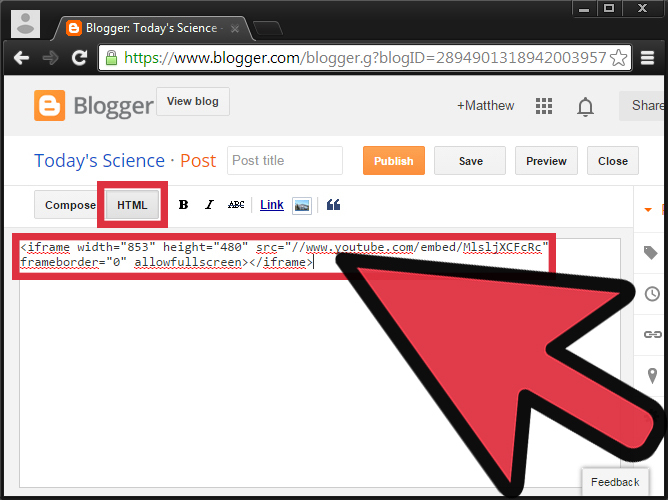 Paste the code on the html code on your website. You may want to encase the video player inside a div tag or table if you are not aligning inline with text.